This week Federated Wireless is conducting a joint showcase of an end-to-end 3.5 GHz shared spectrum solution with Ruckus Wireless (now part of Brocade)and DellEMC at DellEMC World. The 3.5 GHz band (called the Citizen’s Broadband Radio Service or CBRS) will drive innovation and spectrum efficiency for next generation wireless networks. The demonstration will show how the CBRS band will have a LTE modem communicating with a LTE Access Point in coordination with a cloud based Federated Wireless’ Spectrum Access System (SAS). Federated Wireless along with Ruckus Wireless were 2 of the 6 founding members of the CBRS Alliance which aims to help build the 3.5 GHz ecosystem. The showcase will highlight the benefits promised by the Shared Spectrum based CBRS. 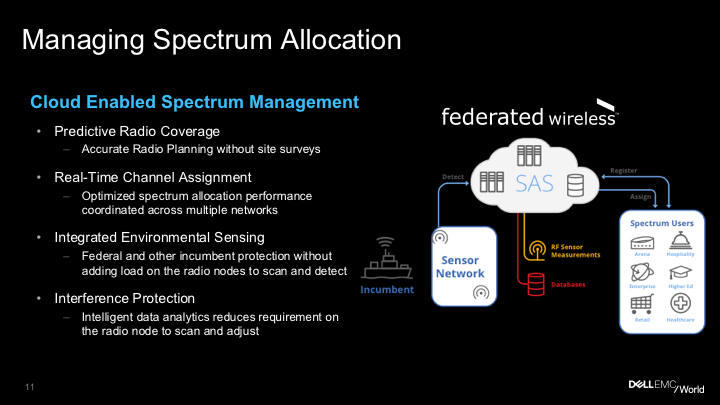 Shared spectrum in the CBRS will improve in-building coverage, provide densification for MNO and MSO networks, and provide better quality of service all with an effortless experience and a total cost of ownership comparable to Wi-Fi Networks. If you’re going to be at Dell World, please stop by the Customer Solutions Center Booth to learn more. 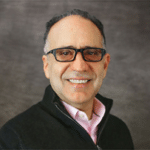 Sepehr Mehrabanzad brings over 20 years of product development experience to Federated Wireless. No stranger to start-ups or to spectrum, Sepehr came from Sentient Wireless, a company he co-founded with a focus on shared spectrum operation for wireless networks.